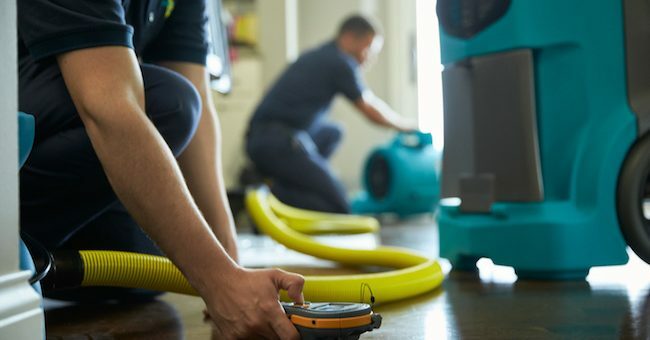 Water damage doesn’t always mean a flooded basement or a hurricane. Sometimes it means a slowly leaking pipe in the walls or an improperly sealed window. Even though these things may seem minor, they can cause real structural damage to your home or office over time. Especially if left untreated for long periods of time, these minor damages can turn into big water damage problems. Visible damages that appear to be severe can sometimes take a long time, especially when it comes to the internal infrastructure of a home or building. Don’t wait until you see severe damage before taking action! 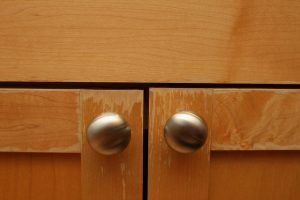 You’ll want to know the more subtle signs of water damage so that you can act before it gets to be too big (or expensive!) of a problem. 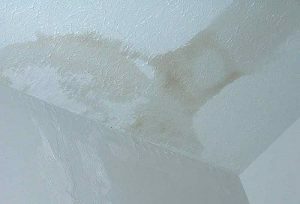 Brownish or yellow water stains on ceilings or walls are a hallmark sign of water damage. These generally come from a water source above the ceiling like an upstairs bathroom. If you can’t figure out a direct source of where the water may be coming from, you might have a leaky or sweating pipe from inadequate insulation. A sagging ceiling or warped walls nearby the windows means that structural damage has already begun. It is possible there is already a larger problem behind the walls or above the ceiling going on. 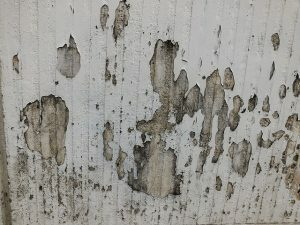 If you see peeling paint on the inside (or even the outside) of your property and cannot find a direct cause, it could be water trapped in the walls. Repeated exposure to moisture, can cause water to get trapped underneath the paint, causing it to peel. If you find the drywall beneath the peeling paint is soft or swollen, it’s possible you’ll have to replace the wall itself. Any visible mold is a sure sign of excessive moisture where it shouldn’t be. 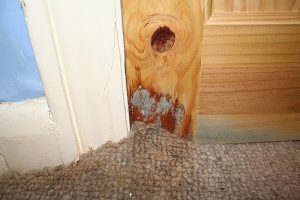 Mold can only thrive in warm, moist conditions. If you see even a small amount of mold, there’s a chance of a whole lot you’re not seeing. Water damage and mold tend to go hand in hand. We can restore your water damaged property and remediate any mold you may find along with it. 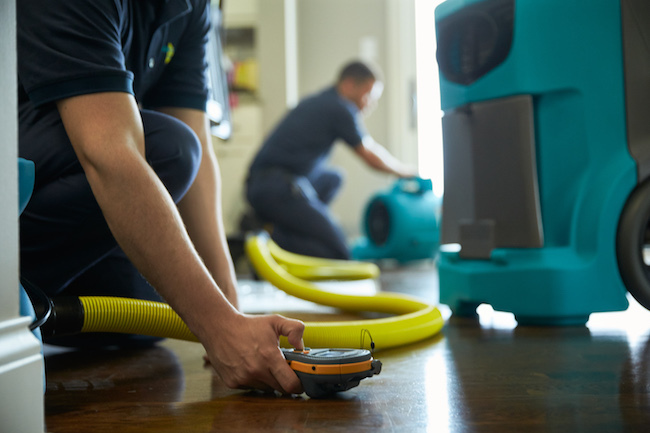 ServiceMaster Advantage solves water damage problems in Houston – large or small. We can test moisture levels with advanced equipment and ensure your property dries properly. A minor water leak can turn into a major structural problem if neglected or not taken seriously. Contact us if you suspect water damage or notice any of the above signs!